Social media is an ever-changing game, with new sites, tools, and tactics popping up from every corner. The constant influx of information can be overwhelming, but it’s needed to stay on top of your social media marketing game. Going to conferences and seminars is helpful, but it can be an expensive and cumbersome way to get good information. Instead, viewing online video tutorials from industry leaders’ YouTube channels is a great way to continue learning about social media from the comfort of your home. Video tutorial sites like Lynda.com have been around for years, but now private companies are using video to share their social media knowledge as well. It makes sense, since millions and millions of people are tuning in to watch online videos every day. 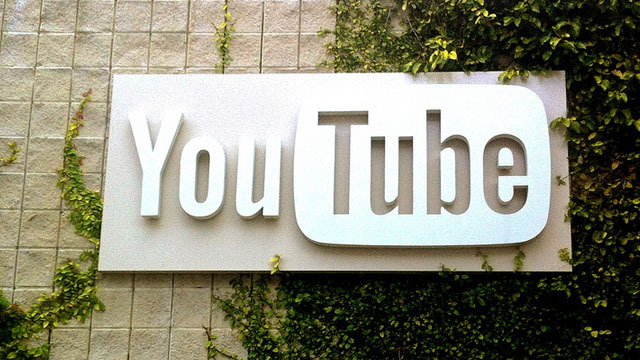 Four companies that are effectively using YouTube channels are Hubspot, SEOMoz, ExactTarget, and Que Publishing. Although each of these four companies has its own distinct style when it comes to video production, the overall goal is the same: add value for the target audience. Regardless of the video style, each channel offers excellent social media information that you can use in your own business. HubSpot is an all-in-one marketing software product that helps more than 8,000 companies attract leads and convert them into customers. Its software covers the gamut of internet marketing, search engine optimization, social media, email marketing, landing pages, and analytics. As a leader in inbound marketing software, it’s only natural that Hubspot offers online tutorials through its YouTube Channel. Hubspot’s channel offers several different customized playlists. Each playlist consists of a series of videos, such as tutorials, funny original videos, and customer case studies. One of our favorite videos in Hubspot’s “How-To” playlist is the “How to Analyze Facebook Insights to Improve Your Content Strategy.” (See embedded video, above.) This is a great example of how to add value with customized video content. We’re adding SEOMoz to this list because its content is a great resource to online marketers. While its software and content focus on SEO, there is a definite overlap of search with social media. SEOMoz’s CEO, Rand Fishkin, is the regular Whiteboard Friday lecturer, but the video by Dan Shure, entitled “Ten Painless Twitter Tactics to Earn More Attention on Twitter,” (embedded above), is a great tutorial, too. Lacy and Baer cover trending topics in digital media and online marketing. This feature is notable for its short sound bites and high concentration of good information. Since each segment is only about two minutes long, your time won’t be wasted watching these videos. Que Publishing has been publishing resources like books, eBooks, and videos on topics like computers, gadgets, and business technology for more than 30 years. Although Que Publishing is the only company on our list that’s not a software company, its YouTube channel is just as instructive as any of the previous examples. Que Publishing curates playlists for each topic, such as Windows 8, and Apple gadgets, making it simple to find a specific tutorial you’re interested in. Que Publishing’s social media playlist also has 35 different videos from acclaimed social media marketers, like Chris Brogan, Peter Shankman, and Jason Falls. While most videos are shot with amateur video cameras, there is a lot to be learned from these professionals. Don’t let the lower quality video deter you from learning great social media tips from the industry’s best. These four companies are all using video to their advantage, although they’re producing it with a variety of different methods and styles. Whether you want to use a high-definition vs. a lower quality style, a split screen format, or a talking head, the overall takeaway is that your content has to be extremely valuable to your target audience. Interestingly, researching this article proved to be a bit of a challenge. There weren’t as many consistent, quality, YouTube channels offering sage social media advice as we thought. Perhaps this is an opportunity in the making that some of our readers would like to tackle themselves! Know of any other YouTube channels offering great social media advice? Let us know in the comments.